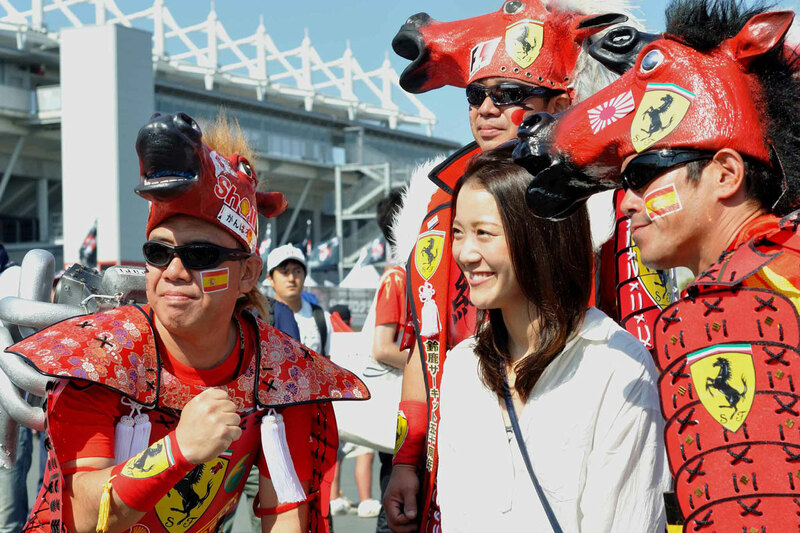 The circuit in the town of Suzuka is situated in Mie Prefecture on Japan’s main island of Honshu. It is about 50km from Japan’s fourth city, Nagoya, where most visitors will base themselves for the weekend. Nagoya’s main airport and Japan’s third, the Chubu Centrair International Airport (NGO) is about a 30 minute connection to the city centre by the Meitetsu Airport Line. There’s a train in either direction every half an hour and costs ‎¥1200. If you’re not arriving at the Chubu Centrair International Airport, Nagoya is roughly 320km from Tokyo’s Narita Airport and 150km from Kansai Airport and the trip to Nagoya is best covered by train for speed and convenience, or bus if you’re on a budget. If you’ll be travelling in Japan for a while, the JR pass could be a good investment allowing almost unlimited rail travel around Japan. For getting around by bus the Willer Express offers affordable and efficient services between key cities that can be easily booked online. English is not widely spoken in Japan, though in most JR railway stations there will be at least one staff member who can speak English so getting around is not usually an issue. Even if you have trouble with the language barrier in Japan the all round helpfulness of Japanese people towards visitors more than makes up for it and if you have a few words in Japanese too you’ll find getting around there as easy as anywhere else. For most purposes getting around on the subway and on foot will be fine, though for groups, using a taxi might be preferable and more cost effective. Subway rides are ‎¥200 to ‎¥320 with day passes available for ‎¥740. There are 2 ways to get to Suzuka circuit by train. If like many visitors to Japan you’ve picked up a JR Pass prior to arriving in the country it’s more or less a no-brainer to take the JR train line, and have the cost of the otherwise quite expensive journey covered by the pass. There is a special service put on over the race weekend called ‘Suzuka Grand Prix’ limited express. The second option, provided by the private Kintetsu train company drops you off further away from the track and you’ll need to take either a shuttle or a taxi to get to the race track, but if you don’t have the JR Pass it works out quite a bit cheaper, even with the cost of the shuttle included. Book your tickets to Suzuka Ino station and reserve your seats at Nagoya JR train station. The seat reservation is mandatory for these trains but with the JR Pass the cost of the reservation is already covered. Board the train. The journey should take 60 minutes and Japanese trains are very punctual. One stop after Suzuka station you arrive at Suzuka Circuit Ino Station. This should be obvious from the mass exodus of F1 fans and you might just spot a familiar ferris wheel. Follow your F1 brethren out of the station and its about a 20 minute walk to the circuit gates. Book your return tickets to Shiroko station at the Kintetsu ticket office in the east side of Nagoya station. You can choose from Express trains and more expensive, faster limited express trains. Board the train for the 40 or 50 minutes journey. There may not be an announcement in English so be aware of roughly what time you should arrive and keep an eye out the window at the station names (which are in English and Japanese). Exit the station and you’ll see a small counter where you can buy your tickets for the shuttle. This is about a 15 minute bus ride which leaves you with another 5-10 minute walk to the main entrance to the circuit.